As a proud mom to 2-year-old Jonathan Rosebanks Shulman, her son with husband of six years Adam Shulman, Anne Hathaway is figuring out one of the biggest roles of her life as she goes. "I'm not perfect, but if I'm frustrated or distracted, I'm good at making sure he's safe and walking away, calming down and then coming back to him," she told the newspaper. The star admitted that "telling that harsh voice to be quiet," is a challenge in motherhood. "I fall short every day, but I'm not going to beat myself up about it, I'm going to learn from it," she added. And she wants her son to understand his own emotions. She recalled an example of them going to a play area in Los Angeles, where there was an off-limits area that the star told him he couldn't go in. "He got mad, I said, 'Of course you're mad. This is really frustrating. You wanna do this thing, your friends are doing it and I'm saying no? Gosh, that makes sense," Hathaway explained. "The answer is still no, but everything you're feeling right now is totally legit.'" 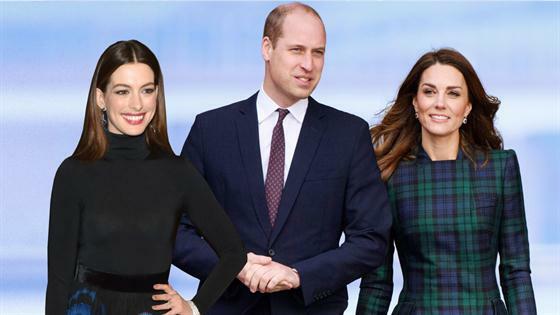 While he's just 2, Hathaway is already finding ways to communicate effectively with her only child—with help from the Duke and Duchess of Cambridge, Prince William and Kate Middleton, who have long been mental health advocates and champion the importance of talking to each other. According to the newspaper, the actress once read something about the famous couple's parenting that stuck with her. "They get down on the child's level and speak to them eye to eye to make their child feel empowered," she explained to the newspaper. "I thought that was really cool. I started doing that with Jonathan."